The Italian criminal procedure begins when the Police or the Public Prosecutor becomes acquainted with a fact which could be considered a crime. Some crimes require criminal complaint by the injured party in order to proceed. Some others (the more serious ones) do not require any criminal complaint but procedure will be triggered automatically. Once the crime is reported, investigation will take place and its duration is dependant upon type of crime. Over the course of investigation, the person who may have committed the crime and the injured party supported by their lawyers or their technical advisers could carry out defence investigation, whose result will be submitted to the Public Prosecutor in charge for the criminal procedure, in order to support defence of each party. Once investigation is closed, the Public Prosecutor will determine if sending the case to trial or submitting to the Judge in charge for Preliminary Investigation (Giudice per le Indagini Preliminary) a request for filing in the archives . The suspect and the injured party may object to the request for filing in and a hearing of debate will be scheduled after the objection. In this case, the Judge in charge for Preliminary Investigation will determine if new investigation has to be carried out or rather archiving the case. For certain assumptions, the Judge may also order the Public Prosecutor to formalize an indictment against the suspect (i.e. enforced indictment). For certain types of crime, between the end of preliminary investigation and the beginning of criminal trial, the Italian criminal code additionally provides for a “preliminary” hearing. The preliminary hearing gives greater safeguards to the person who may have committed the crime, since during the debate, the defence attorney will explain the reasons why a trial against the suspect should not commence, as evidence gathered by the Public Prosecutor is considered to be insufficient or unsuitable to support the complaint. It will be for the Court to determine if going to trial or rendering a “pronouncement of acquittal”. In case the criminal trial takes place, the defendant has the possibility to ask to be heard, to submit documents and witnesses on his/her behalf. The same rights are recognized to the injured party (the victim of the crime), who can participate in the criminal trial in order to obtain compensation for pecuniary and non-pecuniary losses as consequence of crime. The list of witnesses for each party must necessarily be submitted at least seven days prior to the date scheduled for the beginning of the criminal trial (criminal case), penalty for that is the revocation of the right to submit witnesses. The Italian criminal law allows the defendant to request for an alternative proceeding for definition of the trial against him/her. The choice of an alternative proceeding will allow for a reduced sentence, in case of conviction. Once the first degree of judgement ends, the Court will render a judgement which must be justified and can be challenged by the defendant (in case of conviction) or by the Public Prosecutor (in case of acquittal). The injured party is also recognized the right to challenge the judgement. In Italy, there are three degrees of judgement: Court (collegiate or monocratic structure), Court of Appeal and Court of Cassation (i.e. Supreme Court). Foreigners involved in a criminal procedure in Italy are very often not informed of their rights recognized by the Italian law. Few foreigners charged with a crime in Italy, or even simple victims of crime know that they have the right of being assisted by an interpreter of the language they speak. The right of assistance and translation of procedural documents in the foreigner's mother tongue provided for in the Article 143 of the penal code is guaranteed by the Italian Constitution as well as the European Convention on Human Rights, and its foundation lies in the right of defence recognized to any party in the contest of the Italian criminal procedure. In the Italian criminal procedure, in fact, the first who has to defend himself/herself on the pending charges is the person who is alleged to have committed the crime. Therefore, if the foreigner is not made capable of understanding the content of a measure directed to him/her, or stating his/her own oral defence in his/her mother tongue, subsequently the person will not be able to adequately prepare his/her defence, neither to support his/her defence attorney to draw up a correct defence strategy and the best one. The omission of translation of an essential measure directed to the foreigner will result in the measure invalidity, cases in which the criminal procedure is resumed to redress invalidity are very frequent. Similarly, if during the trial foreign witnesses had to be heard, they would also have the right to be supported by an interpreter speaking their language. The Italian criminal law recognizes the right to free language assistance to foreign defendants or suspects in order to communicate with their defence attorney before being questioned, or for submit a request or a statement of defence during criminal procedure. If the foreign person, who is victim of crime, thinks that the language barrier could interfere with his/her own right to obtain a compensation for the damage suffered during an Italian criminal trial, such a belief is absolutely wrong. The Italian legislator has indeed projected the possibility that the foreign injured party also has the right to be assisted by an interpreter, in case the person does not know neither speaks Italian language. The foreign injured party, who has suffered a damage as a result of a crime, can participate in the trial through a special prosecutor. In this latter case, it is generally the injured party's defence attorney who acts on behalf of his/her client. It will be sufficient to confer a special power of attorney drafted in two languages (Italian and the foreigner's language) on the lawyer, it will empower the prosecutor to participate in the trial instead of the injured party and submit a request for compensation for damage on his/her behalf. 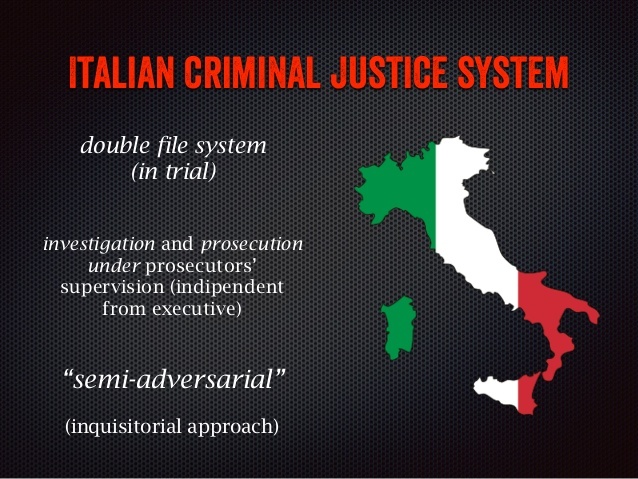 Italian criminal procedure: what does it happen in reality? Although the Italian law provides a series of procedural safeguards for foreigners, these are not always known or disclosed to foreigners, who perhaps while travelling in Italy are involved in a crime as defendants or victims. Those institutions assigned to ensure compliance with the law regulations very often omit information regarding the foreigner's rights within an Italian criminal procedure. These rights already exist before the trial takes place (for instance, the identification phase or the foreigner's information retrieval during investigations), and their violation may interfere in the negative on the outcome. Among many cases that happen the most, it is when the foreigner, who is alleged of committing a crime, is brought to the Police Office for identification, in this phase he/she is provided with a public defender. In the majority of cases, the foreigner is not informed of the fact that identification is the preliminary act to implementation of criminal investigation against him/her, neither is notified that already in that phase he/she is assigned with a public defender. As a consequence, the foreigner simply goes back to the home country, confident that nothing has happened, while on the contrary he/she is suspected to have committed a crime in Italy and risks that the criminal trial takes place without him/her, resulting in a potential conviction. Cases in which the foreigner comes to know of penal conviction rendered in Italy without even being informed that a criminal procedure against him/her has taken place are very frequent. Since the Court has to verify if the foreign defendant knows Italian language, it very often happens that just simply pronouncing an Italian word may determine the certainty that the defendant is capable of understanding and comprehending our language. That is why the assistance of Italian lawyers, who speaks other languages, becomes essential in case one is involved in a criminal trial in Italy, even as victims. Have you been alleged of committing a crime in Italy or have you been victim of a crime in Italy? Contact us.